This undated handout photo provided by the U.S. Fish and Wildlife Service shows a gray wolf. SPOKANE, Wash. – A helicopter had to rescue a research student Thursday afternoon after a group of wolves surrounded her near a Washington campground. Okanogan County dispatch received a call around 12:30 p.m. from the student, who was surveying the area near the Tiffany Spring Campground in northern Washington when she came across the wolves. 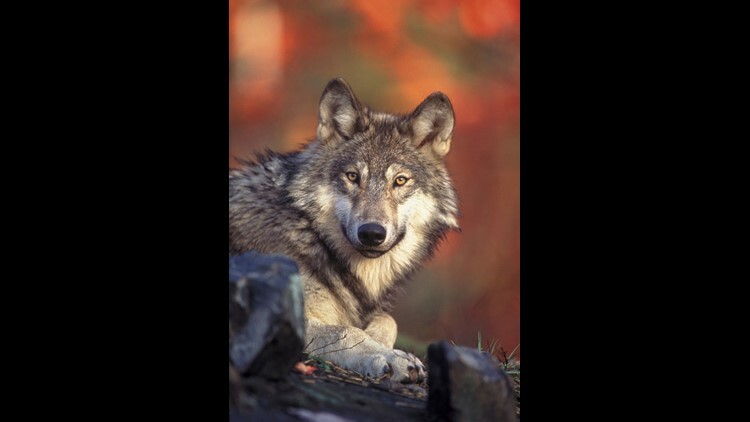 Officials said she had climbed 30 feet up a tree and a pack of wolves was surrounding her. Okanogan County deputies were told if they arrived on the scene and the wolves were still surrounding the woman they were to shoot the wolves on sight, authorities said. The Department of Natural Resources was then notified. They said they would be sending a helicopter to the woman’s location. When the helicopter arrived, the wolves were still there but the helicopter was able to land and rescue the student. Okanogan County Sheriff Frank Rogers said his team is trying to find out if there is a possible threat or danger to those who use the recreational area.